Numic is: Stephen, Dennis, Matt and John (via Iowa) all from Northern California. 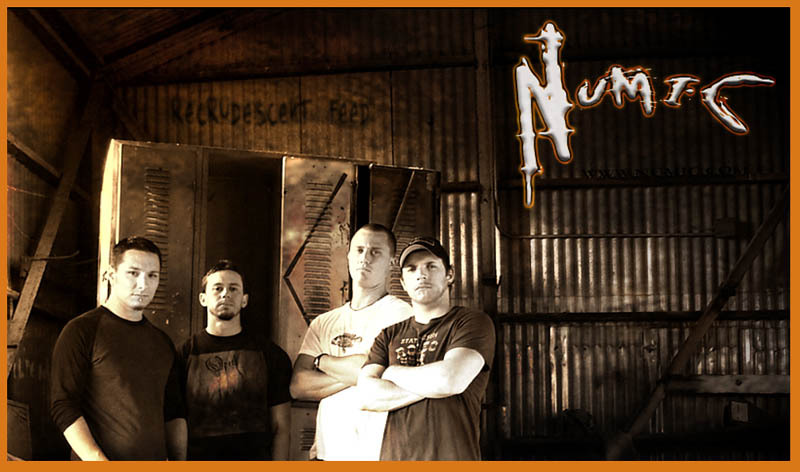 Numic plays & hybrid of rock and metal that retains what most music lacks these days, which is soul and musicianship. With arrangements that reflect Tool, aggression that is reminiscent of Pantera and emotion that resembles a A Perfect Circle, the music blends dynamics, emotion and melody with hooks that leave you singing it all day. Their ideas for future releases, performing concerts and long-term goals, requires picking industry professionals that are ready to help promote them to the highest level possible. 9. The members of Numic even built their own pro-grade recording studio in the heart of the Napa Valley to record their own albums. It was there in early 2005 they recorded Recrudescent Feed. The album was produced, mixed, engineered and paid for duplication by band members. It went on to become a critically acclaimed success. With a dew outstanding press reviews and tons of great buyer / listener reviews, the record continues to sell like hotcakes. Even with almost no radio play other than a few late Sunday nights on KSJO (before the stations demise in late 2004) and on KRXQ 98.5 Local Licks in Sacramento, the album seems to have taken on a life of its own with word of mouth. Purchased by way of Myspace and CDBaby or out of the back seats of cars. 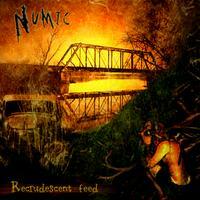 The sound of Numic has been heard / seen / felt mostly in Northern California in places such as Slims-SF, The Boardwalk-Sac, California State Fair, Phoenix Theater-Petaluma and The Whiskey A go go- Hollywood. With every show their audience is growing larger and more inspired. But in the beginning to give a sort of kick start, Numic purchased and restored a 1965 GM Greyhound bus. Converted into a tour bus, the vehicle was used to shuttle an average of 20-30 fans to out of town shows. In August of 2005, Numic's song Thrown Away was featured on Sacramento Rocks vol. 12 A compilation CD featuring the best bands of Sacramento and benefiting the Mustard Seed School for homeless children.